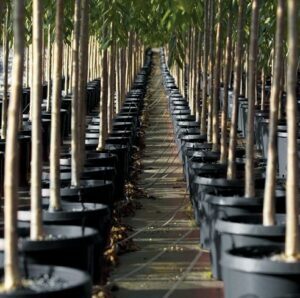 A trees long term health begins before planting. 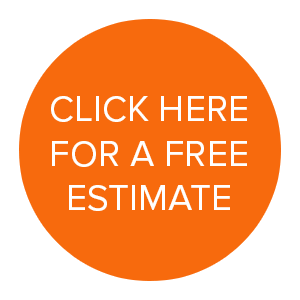 Tree selection is the most important step in choosing a species that has a mature size appropriate for the space. 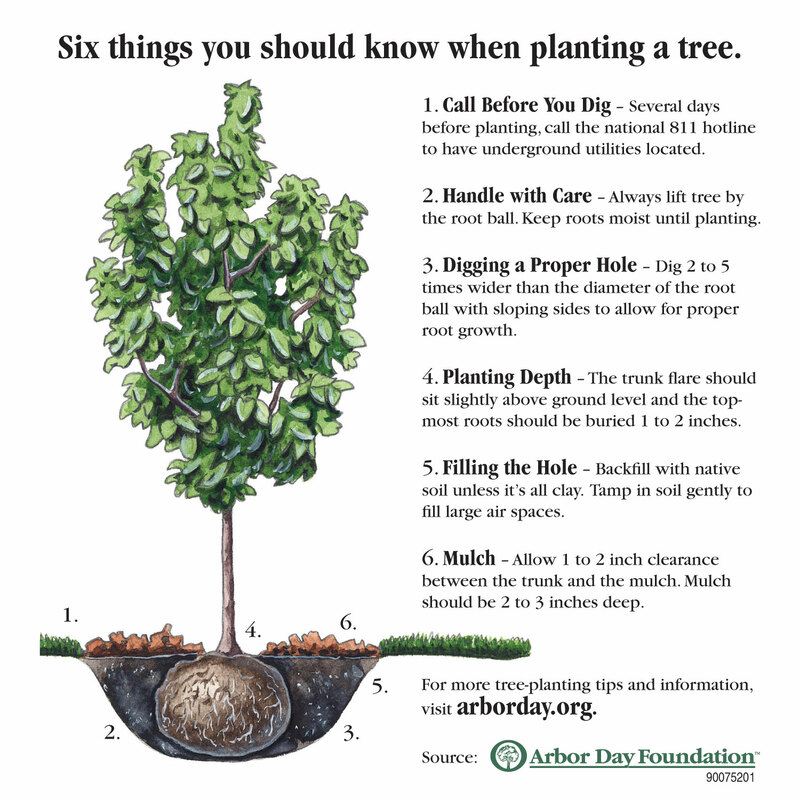 Next, inspect the tree to make sure that it has a proper root ball and branching structure. An undersized root ball won’t have the proper concentration of roots and strength to develop a strong base once it is planted. The tree can become easily stressed from the decreased roots that are needed to take up water and nutrients. It can also affect the overall structure of the plant, leading to shallow roots and vertical movement. See the complete American standards of nursery stock here: https://www.in.gov/dnr/forestry/files/fo-ANSI_Z60_1_04.pdf If your tree is container grown, make sure no roots are visible or circling the top of the pot. For good structure, look for straight leaders(trunks) and consistent branching. The branches should not cross or be rubbing against one another, nor should they have any sharp changes in direction along the length of the branch. 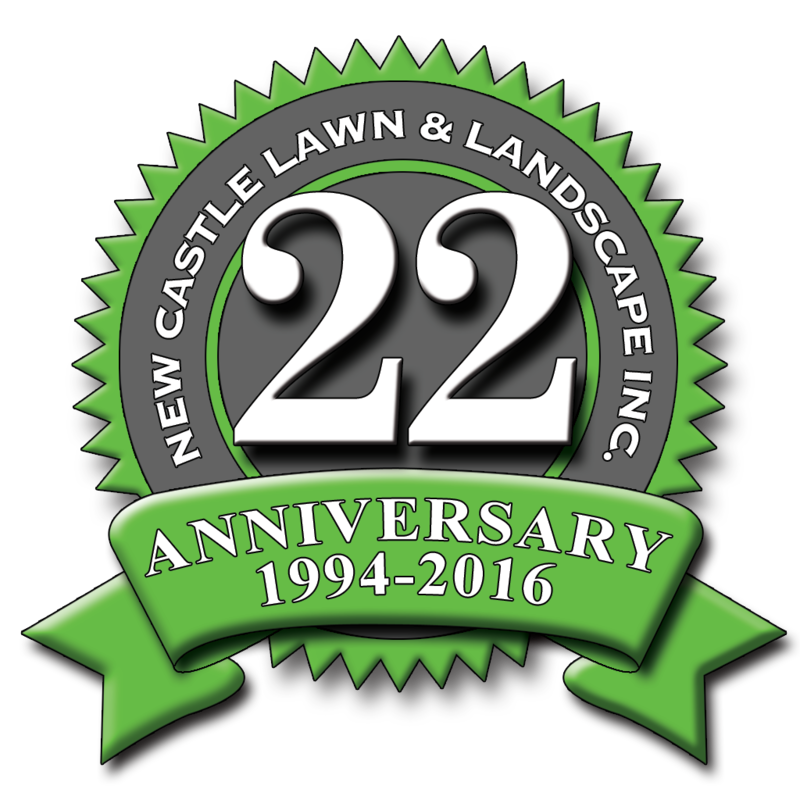 Some problem branches can be removed if they don’t make a significant change to the plants shape. 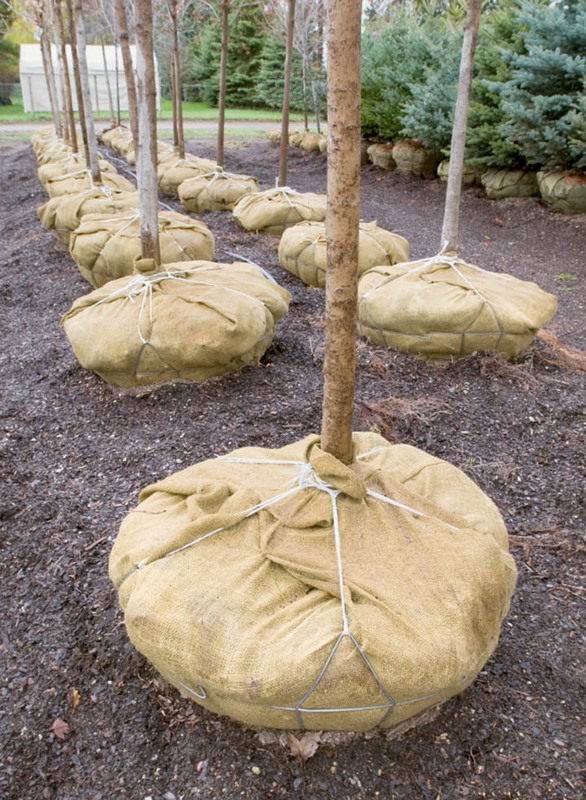 Once you’ve picked out a nice healthy and strong tree, its time to plant! Having the proper width hole and soil base will promote healthy fast rooting. 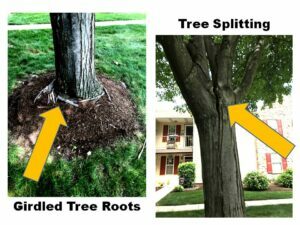 For hard clay soil that is common in our area, a proper hole width will prevent girdling (a circling of roots around the trunk and root ball that eventually suffocate the tree). Container grown trees should follow the same planting instructions, making sure to loosen exterior roots and score the bottom of the root ball with a spade or knife to promote new rooting. 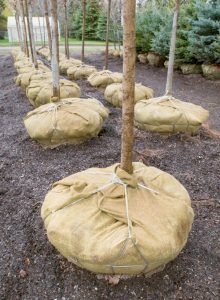 If you have a balled and burlapped tree, the wire and burlap need to be pulled away from the base of the tree where it meets the soil, know as the root flare. Doing so will also prevent girdling. 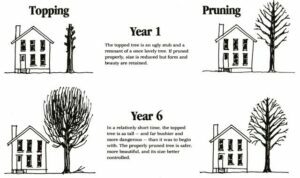 Now that the tree is planted and you are keeping it nice and watered, observe your tree every year to make sure the branching structure stays healthy. 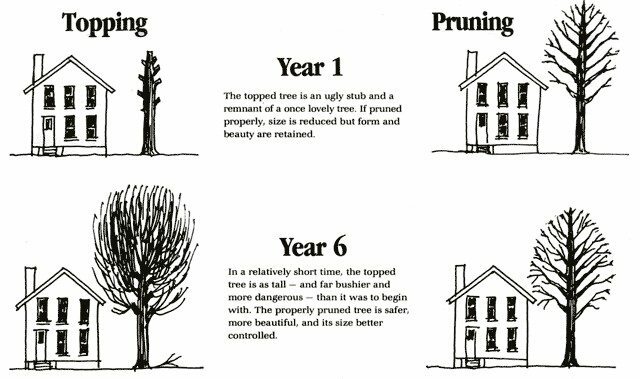 A simple prune in the early stages of life can save you thousands of dollars in the long run from splitting, broken or rubbing branches. As we’ve said before, DO NOT TOP YOUR TREES! 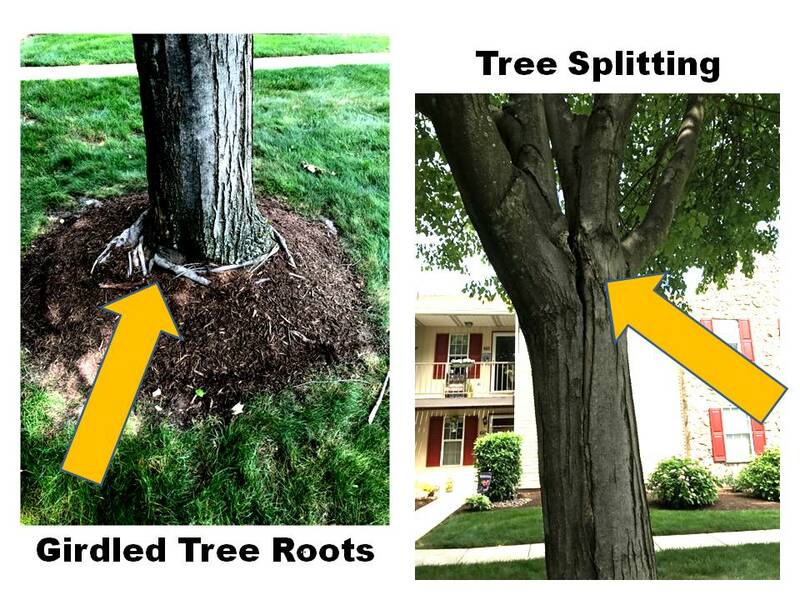 Structural pruning is the key to thin out and remove branches that may cause harm.